What are your needs for Upper Makefield movers? Let Simonik Transportation & Warehousing provide you with a relocation or storage solution based on your household or commercial moving needs. We have more than 32 years of experience in relocating many of the nearly 10,000 residents of this township - all over the world - with our local, intrastate, long distance and international service network. Upper Makefield Residential Movers: From the packing and unpacking to the storage and third party services, we have a full range of household moving services to accommodate all your needs. Upper Makefield Commercial Movers: Move your business, facility or trade show exhibit securely and on-time - all while remaining cost-effective - with Simonik. Specialized Moving in Upper Makefield: We ship high-value products all over the world with our special handling methods, from fine art and antiques to computers and equipment. Warehousing and Distribution in Upper Makefield: Streamline your transportation and storage process for any type of commodity with our efficient, professional warehousing and distribution services. Upper Makefield Storage: Store your records and files within our facility and benefit from our vast range of records storage services. International Movers in Upper Makefield: Relocation overseas doesn't have to be a hassle. Let Simonik take care of all your worries when moving to a foreign country. 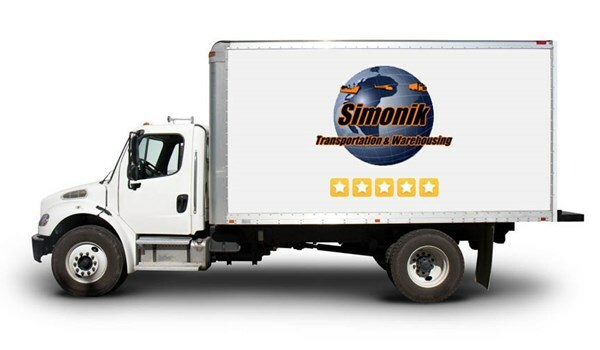 Choose us as your Upper Makefield movers, and let Simonik provide you with the best move you'll ever have. Contact us today to hear more about our Upper Makefield moving services. Fill out our quote form for your free moving quote right now and work with the New Jersey moving company who excels at relocation solutions for residents and businesses throughout this city and the surrounding areas.